Preparing for Workshops and Enjoying Autumn! 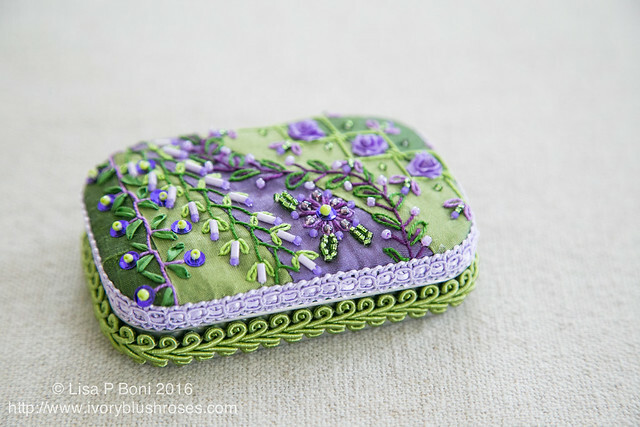 This has been a year of stitching and completing projects requested by other people. The latest project has been in preparation for a workshop I will be teaching for the Santa Clara Quilter's Association in San Jose, CA next week. They requested an Altoid Tin workshop and kits, so much of my free time for the past few months has been spent in preparation. At last the instructions and pattern is complete! Eventually, I hope to make kits available on Etsy... but not until I have some time to work on some of my own projects first! 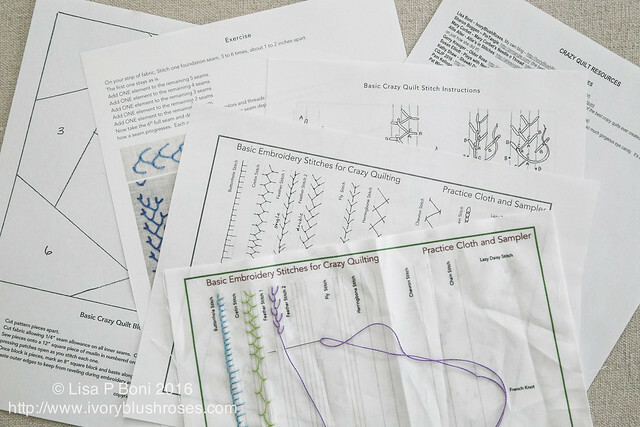 I've also been preparing for some other workshops on basic crazy quilting. Among the items I've created for it is a stitch sampler on cotton to facilitate teaching the core stitches for Crazy Quilting. Then there are the handouts that go with. A simple block pattern, an exercise to take a basic stitched seam beyond into something a bit fancier, stitch instructions, and a list of a few of my favorite resources. 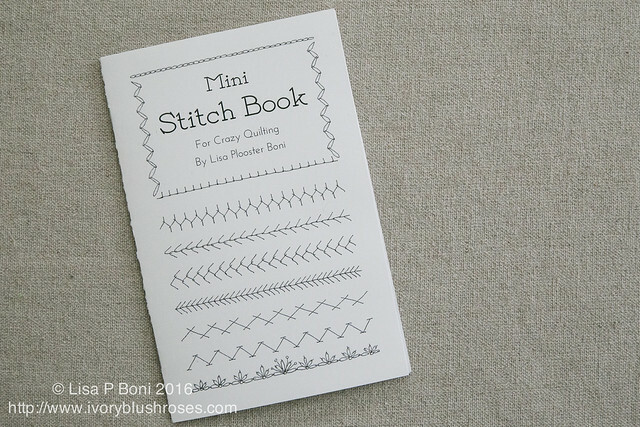 To go with my basic embroidery preparation has been the preparation of a Mini Stitch Book, which if you've seen my personal stitch book, you'll realize that this little 8 page guide is very small in comparison! But I hope it gives my students a glimpse of possibilities and spurs them on to lots of creativity when they are stitching! I was so pleased to have Pam Kellogg's request to stitch the cover piece for her special Holiday issue of Crazy Quilt Quarterly! I had a lot of fun stitching this piece, which will be the centerpiece of a larger Christmas wall hanging... eventually! 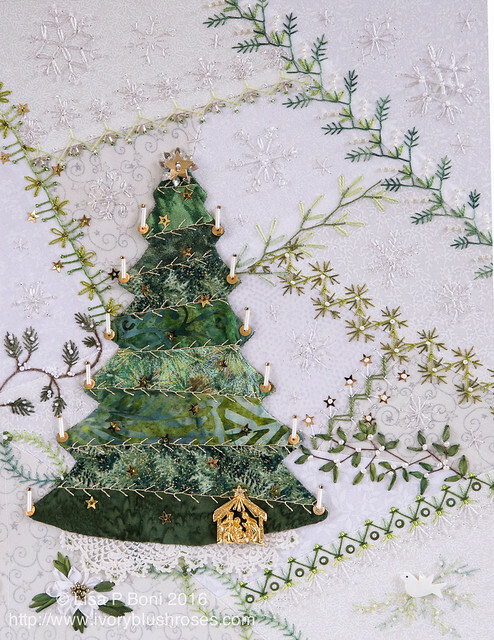 You can get your own issue with lots of lovely Holiday themed stitching and personal Christmas memories from each of the stitchers at MagCloud or on Pam's Etsy site. What a blessing to be able to spend time and get to know this little cherub a bit better! Is there anything more beautiful than a peacefully sleeping baby? I can't wait to get my two grand girls together soon! 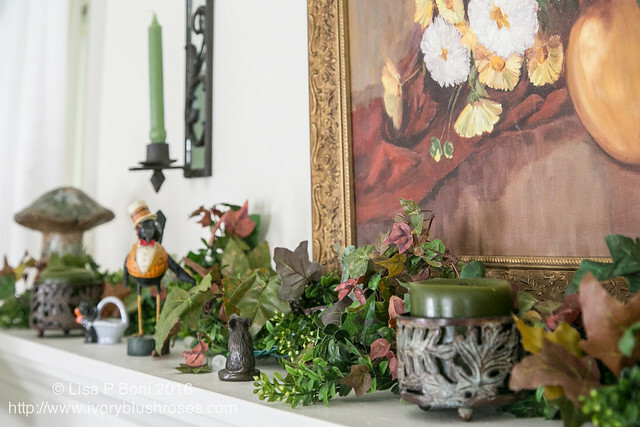 With autumn in full sway here, I added a few fall leaves and berries to my kitchen windowsill. 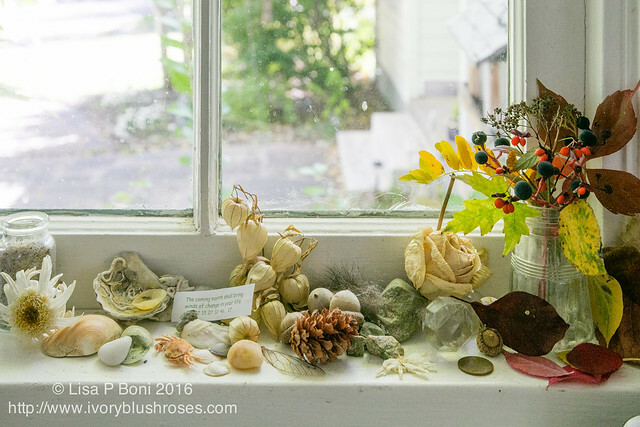 I may not have a large nature table like Salley Mavor, but I do have a nature windowsill with bits that I've picked up here and there throughout the year. I love that this year's windowsill includes shells from Cape Cod and even a tiny perfect dried out crab! 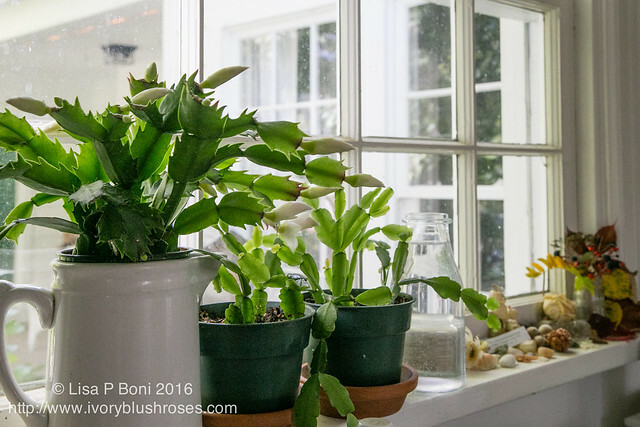 The other end of the window sill includes my growing collection of Christmas Cactus. The one of the left is just on the verge of bursting into full bloom! It will be the third time it has bloomed since Christmas last year when I first got it. The other two pots are cuttings from the Christmas Cactus that once belonged to my Grandmother! A cousin has it, and it's gotten quite large, so when we all gathered in May, she brought enough cuttings for everyone. I divided mine up into two pots and they've already tripled in size! Can't wait to see how it blooms! 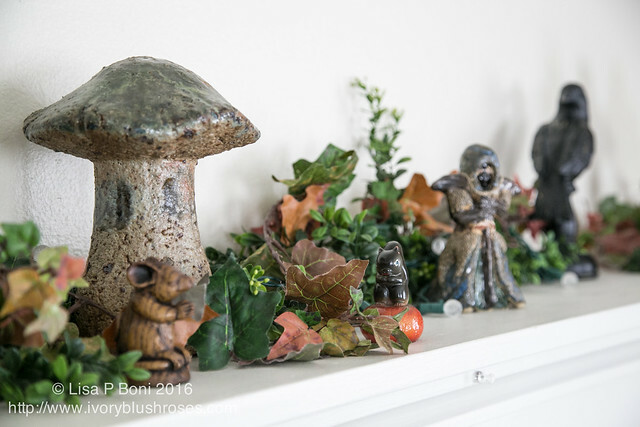 With the changing season, I did a little fall decorating around the house. 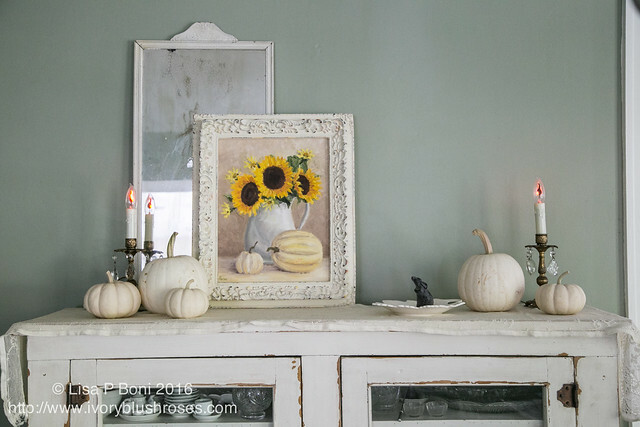 The China Cabinet in the dining room got a simple treatment with white pumpkins and one of my sunflower paintings and my mother's electric candles. 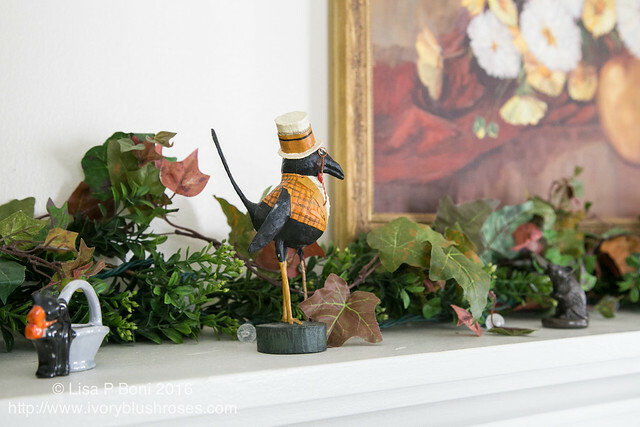 The fireplace mantel is always a challenge to decorate as it is so long ~ about 12 feet long! 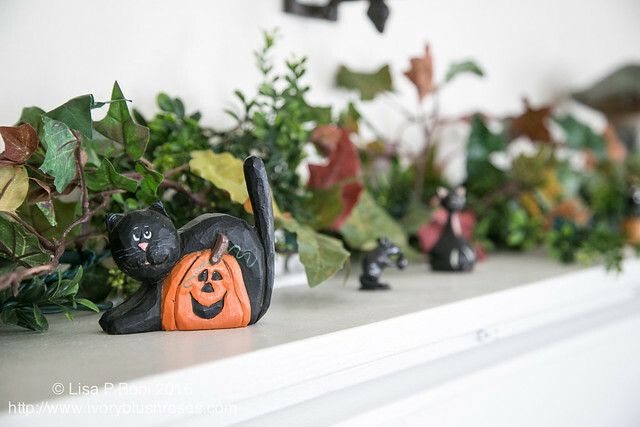 I keep a lit green garland on it most of the year and for autumn I added a garland of autumn leaves and spread my halloween items along it. Mister Crow, my collection of black cats, and my collection of mice along with a few crows and mushrooms. The black cat in the foreground came from my DIL Amanda's mom. The black cat in the background was my Mother's. The mouse came from Robert Burn's home in Scotland. The church mouse in front of the mushroom is from one of the English Cathedrals I visited in 2012. The figurine was made by my youngest son Zach in a High School art class. Lots of fun things! The painting was by my Aunt Olive and used to hang in my Grandmother's living room! 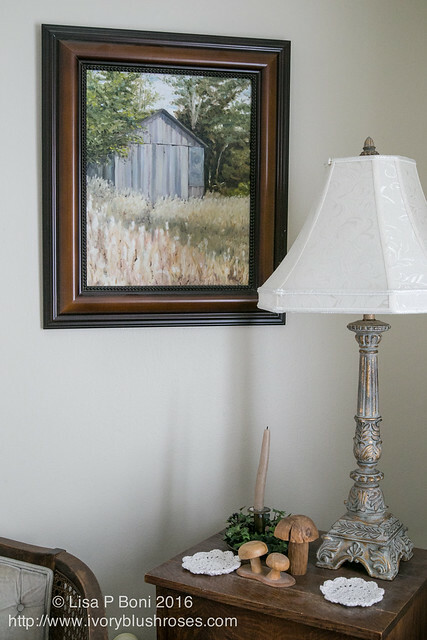 In another corner of the living room I have hung one of my own paintings of an old shed that I used to pass in rural Iowa when I was in nursing school. On the table is an old brass candlestick from our dear family friend, Miss Jessie, which holds one of my hand-dipped beeswax candles. The wooden mushrooms were from my mother's collection. I love having all these memories around me. Every year I enjoy pulling them out and seeing how I can put them together differently. Some years, things stay packed away, and I find that I rarely put every single item out every year. Like life, the decor ebbs and flows depending on where my tastes and preferences lie that year. But always, there are the memories of loved ones... and isn't that what All Hallows Eve is all about anyway? A time to celebrate memories of those who have departed from us. Lisa would you ever give a class to two people? My friend and I were taking a crazy quilt class, but our teacher had to stop. We went once a month and loved it. We wouldn't mind driving to Greely. We were going to Berthoud. Did read you have a new job and am sure that, as well as other commitments keep you busy. Both Suzy and I admire your work and thought I'd ask. I really enjoyed your post today. Beautiful stitching, beautiful grand baby and calming decorating. Just love it all. Looking forward to the stitching kits when you have time to get them together. Wish I lived near San Jose to take a class from you but I am in Southern California. Got the magazine and your cover piece makes me want to work with my white fancy fabrics. I really like how the green stitching just pops on the white. I'm looking forward to your workshop with great anticipation. Love all the decorations throughout your house. As you said, these personal mementos remind us of our loved ones. Where do you store them though? My current decorating scheme seems to be boxes. Yuck. I think that Christmas tree in this post is just stunning! I went right away to order the mentioned item so that I can look at it closely to my hearts content. Thanks for sharing all on your blog. 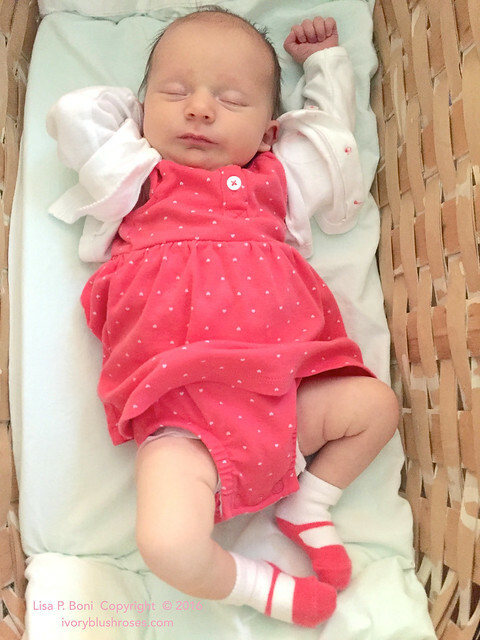 This was a great post about what you are up to, and your sweet little grandbaby. You fall decorations are wonderful and I love your paintings. Hello. Love your work. The tin is gorgeous. Wish I was in that class. Your grandbaby is adorable. It is so much fun being a grandma. I have four Grandkids ages range from 5-14. I absolutely love your Christmas cactus. Mine look nothing like yours. What do you do to make them so happy?